Leon Luckies’ Club President Luke Thomas donating the green beans. 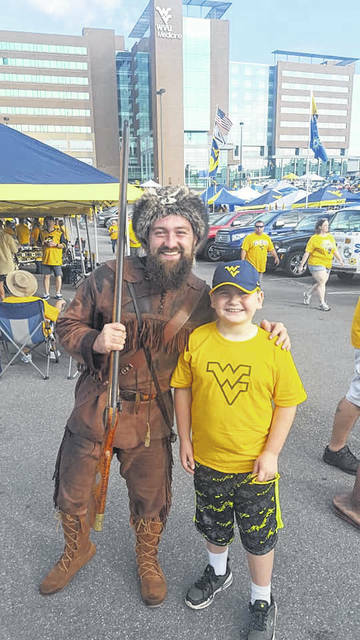 Luke Thomas celebrating National 4-H Week at the West Virginia University game. 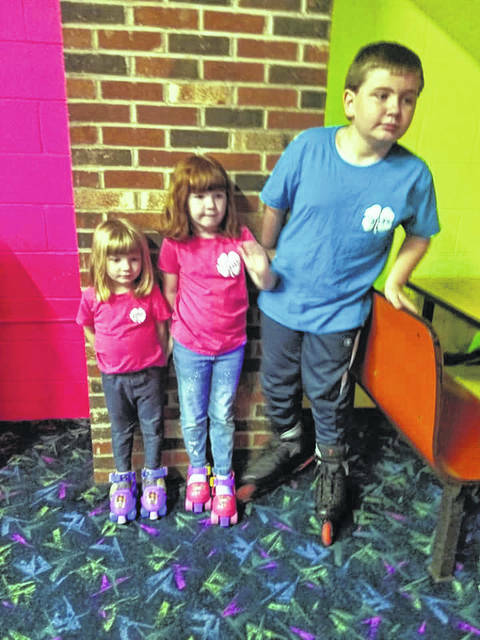 Luke Thomas and his sisters Marissa and Brooklynn enjoyed the skating party. Members enjoying their time at Gritts Fun Farm, pictured are Luke Thomas, Brianna Miller, Brooklynn Thomas, Nicole Oldaker, Wyatt Oldaker, and Marissa Thomas. Luke Thomas, president, Wyatt Oldaker, vice president and Brianna Miller, health officer, presented pencils and clovers to Leon Elementary School students. 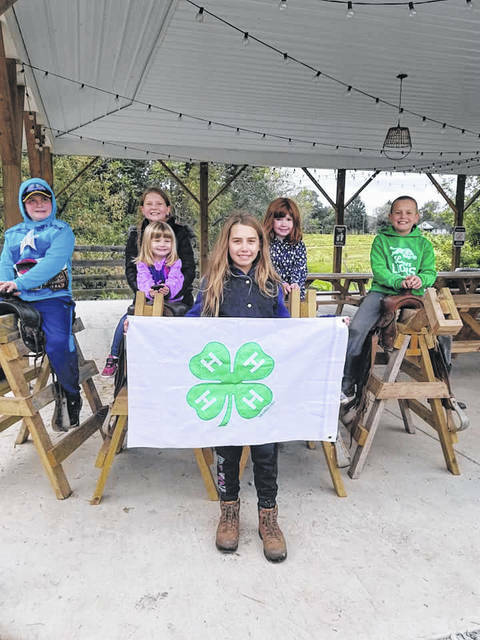 The Leon Luckies 4-H Club has been keeping busy. During National 4-H week, Oct. 7-14, the club kicked it off by members wearing green to their church services on Sunday, Oct. 7. The 4-H teen leaders sponsored 4-H members and their families a skating party at the Gallipolis skating rink. The club displayed a bulletin board at the Leon Elementary School. The club gave 4-H pencils/clovers to all the students at Leon Elementary School. The club also went to Gritt’s Fun Farm on Saturday, Oct. 13. Members were invited to attend the West Virginia University game in Morgantown in honor of National 4-H week. The Leon Luckies also sponsored a coloring contest for grades pre-school to second grade and an art contest for grades third-sixth at Leon Elementary School. Winners will receive prizes with the 4-H emblem on them. 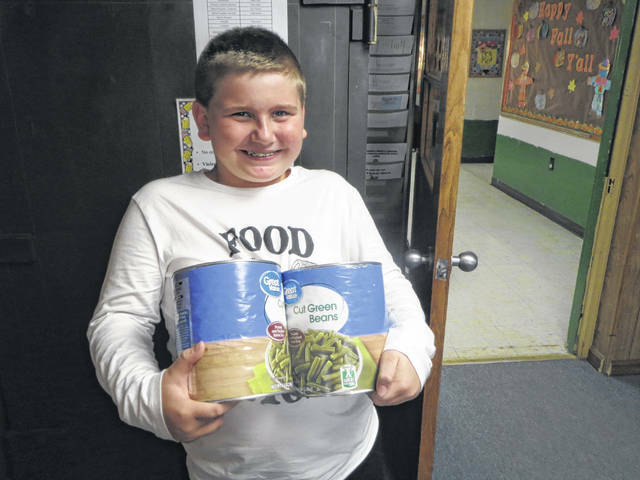 The Leon Luckies 4-H Club also donated cans of green beans to the Leon Elementary School Scholarship dinner. The dinner is for Leon Elementary school students for their scholarship fund. The event will be held in November at the Leon Elementary School gym. The menu is turkey, mashed potatoes and gravy, dressing, green beans, rolls, water, and a dessert for $6. The Leon Luckies volunteered to donate the green beans for this event to support their community.